Each quarter we leave the office, head to a local restaurant, and spend hours diving into every facet of our business. What are we doing well? What could we be doing better? How are we doing financially? What should we be doing? How can we improve our processes? We discuss topics that come up frequently, and things we never had the intention of discussing at all. Quarterly meetings help us identify and solve problems as a team. We get the chance to set goals and create plans of attack. Most importantly we get a chance to make sure that what we are doing aligns with our mission and vision. • Set the meeting date at least a month ahead of time. • Get out of the office. The temptation is too great to answer the phone or send a few more emails. • Make lists throughout the quarter of topics to discuss. • Don’t shy away from tough topics. • Take notes and review these notes in your next quarterly meeting. • Include all employees in the meeting. 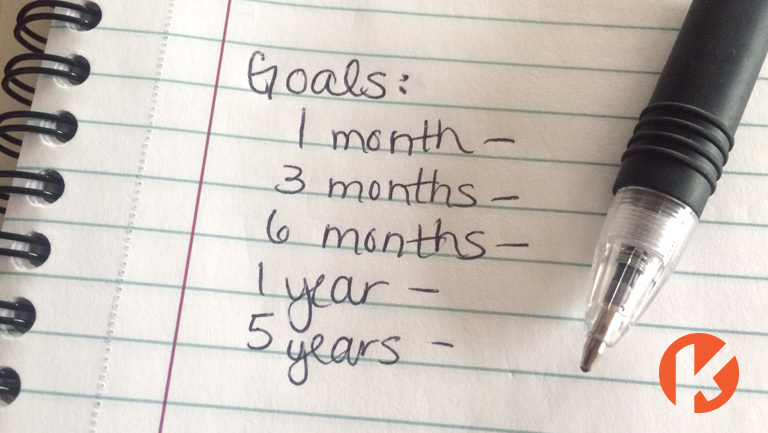 • Come up with goals to accomplish before your next meeting. 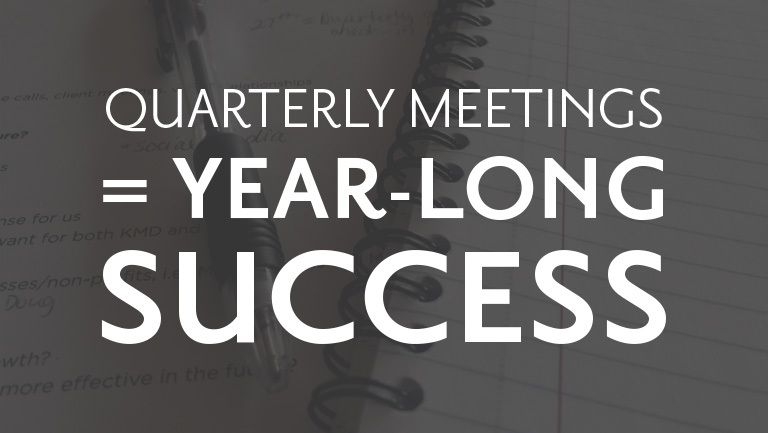 • Set a mid-quarter check-in date to make sure you are on track with your goals from the previous meeting. Until you take the time to really step back and analyze your business and your systems, growth will be difficult. Listen to your team’s input and encourage everyone to be honest. You never know what new ideas may be generated through discussions. After quarterly meetings we leave with lists of things to do and a “let’s get to work” mentality. Businesses are constantly evolving. Embrace it, but plan for it. There are always ways to improve.